All I have for you is just a quick update for this week. Though I wish I had gotten more plaiting done, I did manage to build a workbench out in my shed so I can make leather lace. Having been a nylon plaiter for so many years, I’ve always had the luxury of working in my house. Making leather lace is a bit more messy than working with nylon, so that project is having to go outside. Speaking of leather lace, I spent some time this weekend making lace from a cow hide (kip) I got from Ron Allen a while back. I even squeezed in time to make an 8 plait belly that will be made into a 10ft leather cow whip sometime soon. The main thing for me was just to get some time in with my lace making tools. The Dene Williams hand held splitter I have works like a charm. I even took a chance and skived some lace with the Tandy skiving tool I have. It came out fairly good I think. I reckon my son and I made somewhere in the neighborhood of 200+ feet of lace on Friday. 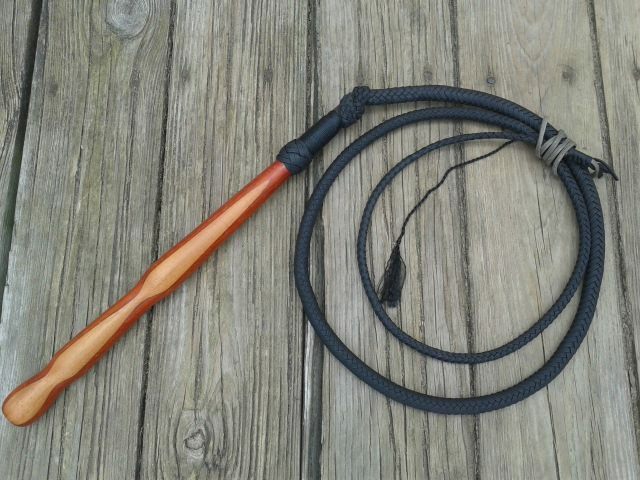 When I get the kip hide cow whip finished, I’ll post some pics.